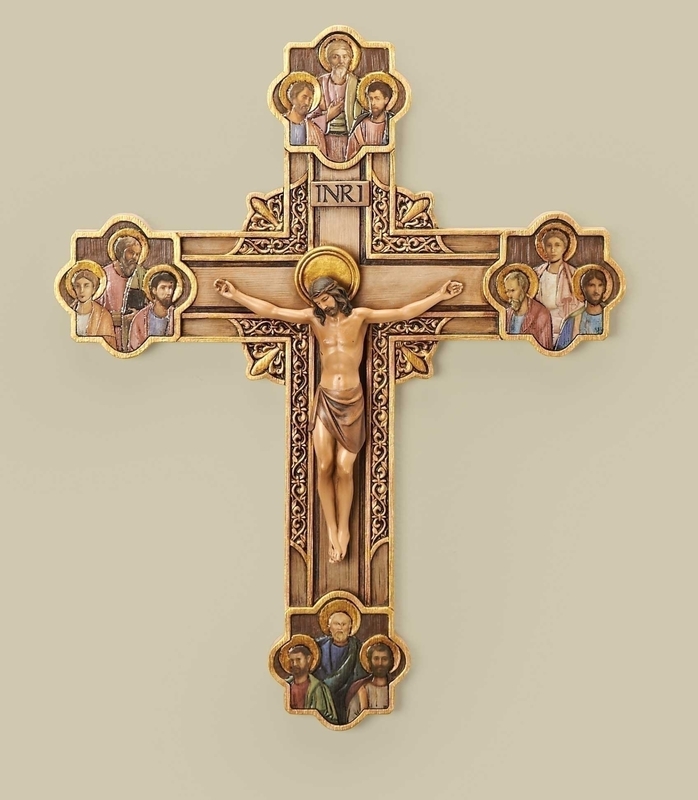 Inspired by the 14th Century Florentine design, this striking crucifix portrays Jesus framed in gold scrollwork, surrounded by His Twelve Apostles. The delicate painting and intricate detail make this piece a splendid example of the Renaissance art movement. Measures 12"H 9.75"W 1.13"D, made of resin stone mix.